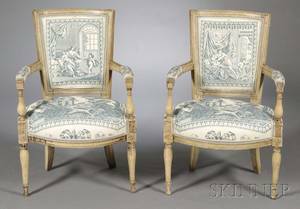 French, 19th century. 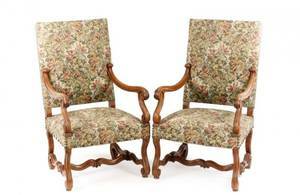 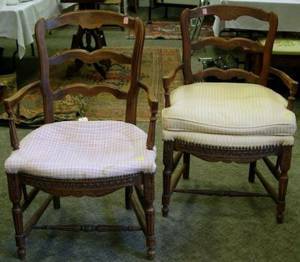 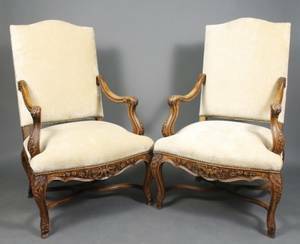 Pair of matching walnut framed armchairs or fauteuils with caned backs and seats. 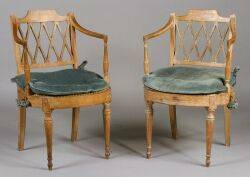 Back, apron and knees with floral motif carving, front legs and arms with scrolled detail. 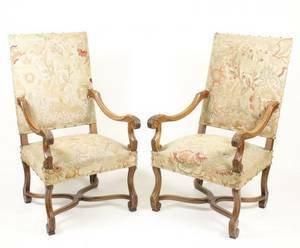 Each with fitted silk upholstered removable seat cushion. 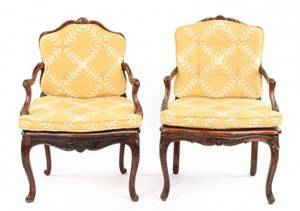 Height 35.75", width (across arms) 21.25", depth 20.5". 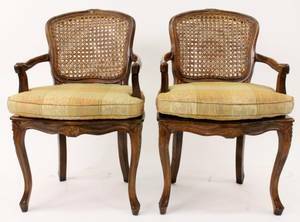 Seat to floor 20.5". 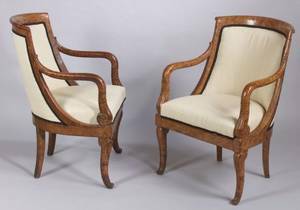 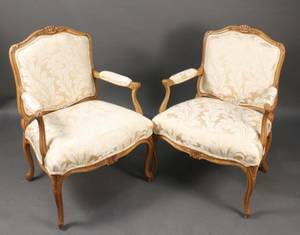 Pair of French-style Upholstered Fauteuils.